Time magazine, which first reported the changes, touched on the topic with the headline, "Now can we stop talking about my body?" The doll has changed in some ways already. New skin tones and looks were added last year. And Barbie's foot was movable for the first time. That allowed her to kick her heels off and wear flats. Mattel has been searching for ways to recharge sales of Barbie. Sales fell 4 percent in the most recent quarter as "want lists" from girls increasingly include iPads and other things. Whether kids will pick up the new dolls remains to be seen but Chidoni said previous changes were "positively received." Dolls with the new body are available for preorder at shop.mattel.com and will ship in February. They will start to show up on U.S. store shelves in March and roll out in the rest of the world after that, Mattel Inc. said. 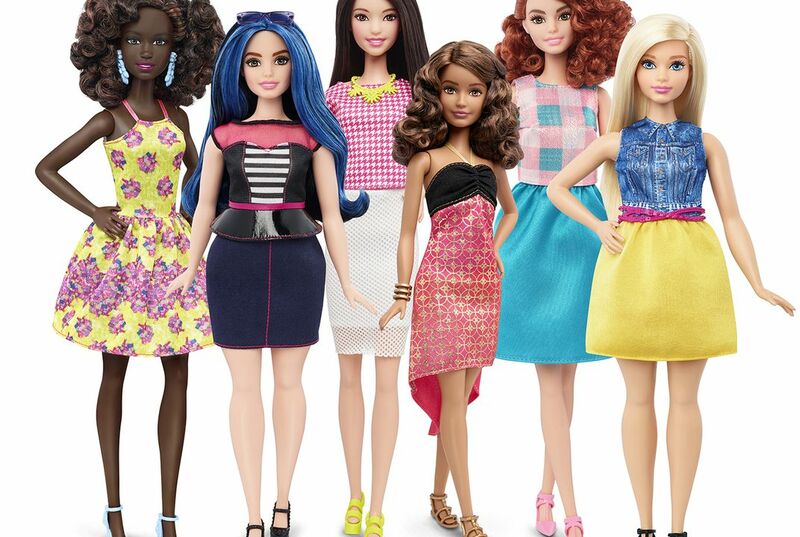 Mattel is allowing Barbie to wear flats because flats are very fashionable and popular in todays culture. I found it surprising that Mattel is actually changing the look of the Barbie after so many years of the same look. I found the new looks of the Barbies interesting because I have never seen dolls like that before, I have only seen the basic Barbie look. I did not really like the article because it doesn't really affect me in any way. The company which makes and sells the iconic barbie doll, Matel, wants to create a Barbie dolls that can wear flats because it will allow her to "kick her heels off and wear flats." This shows young girls that they do not always need to wear stylish clothing all the time. It tells them to have comfort and style at the same time. Another reason to have barbie wear flats is so that she can wear outfits that usually are worn with flats. Such as swimsuits or other clothing materials that require sandals or flats. Allowing Barbie to wear flats gives the owners more imagination playing with their dolls and more profit towards the Barbie company. This is a very informative piece of writing explaining the new Barbie doll features that are much more realistic. I agree with this idea made by mattel and feel like this change with please many more people. I think Mattel is allowing Barbie to wear flats because she normally is wearing high heels and maybe they wanted to change it up. Mattel is allowing barbies to wear flats because all the shoes that come with the outfits have only heels and barely any flats. Mattel is now allowing Barbie to wear flats because they were making changes to the old doll to make her more realistic. Expectations that girls always needed to wear heels was a bad example for girls, which is why the toy maker is making a shift to appeal to more types of girls. This article was interesting because Barbie has been around forever and now they are making changes to every different body type and skin color. Mattel is allowing Barbie to wear flats because the old Barbie was only allowed to wear heels and many customers were upset, and they thought that Barbie created a bad image for many young girls. The article states, "The new options come after years of criticism that Barbie had created unrealistic expectations for girls." This shows that Mattel had many complaints and they wanted to change the original Barbie. I was interested in this article because I used to play with Barbie dolls when I was little. I was not surprised by this article because many other toy companies have made changes such as this and it wasn't long before Mattel did also. I think that they are always going to be making new dolls so they can keep the sales at where they are right now and so they wont keep on losing money. Mattel is going to try and update the dolls as much as they can until no one will buy them anymore and they can't make enough money to keep the company going.